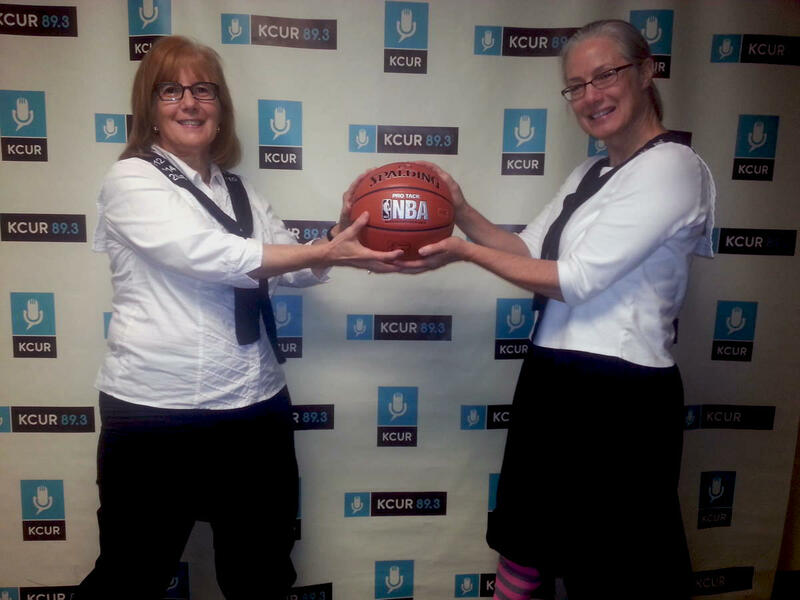 Michele Clark and Lura McAllister pose in KCUR's studio after talking with 'Up To Date' host Steve Kraske about playing in the Granny Basketball League. The original “Border War,” or “Bleeding Kansas,” was a bloody precursor to the Civil War, but modern day quibbles took place on the athletic field between the universities of Kansas and Missouri. Basketball games between the two ended in 2012. 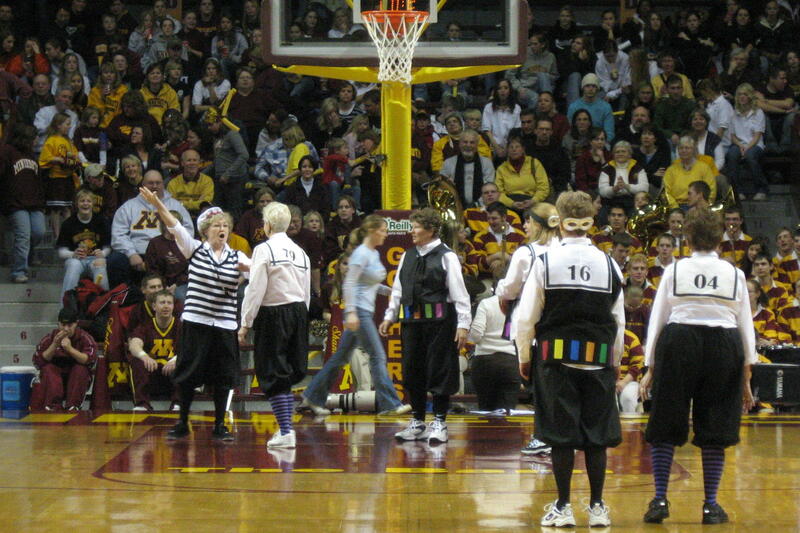 The first Granny Basketball League tournament was played in Iowa in 2005, and quickly spread throughout the Midwest. “This is a blooming rivalry,” says the coach of the Lawrence-based Prairie Storm, Michele Clark. She was introduced to the league while playing on Missouri’s team, the Shooting Stars. “I moved to Kansas, in the Topeka area, for a job and family and I was granny-less,” she says. Following in James Naismith’s footsteps, she started the Kansas franchise. “They’re coming in as the Kansas Prairie Storm, they'll go home as the prairie drizzle,” says former Missouri player Lura McAllister, tongue in cheek. The two spoke recently with Steve Kraske, host of KCUR’s Up To Date​. Their game is different than collegiate or professional matches, and not just because players are required to be at least 50 years old. The court is split into three sections with guards, forwards and centers restricted to their respective section. There’s no running, touching, nor jumping, explains Granny League President Barb Trammell. “Basically all you do is dribble twice, pass the ball to the next person until it gets down to the forwards, and then the forwards shoot,” she says. The rules are a little different than the modern game. 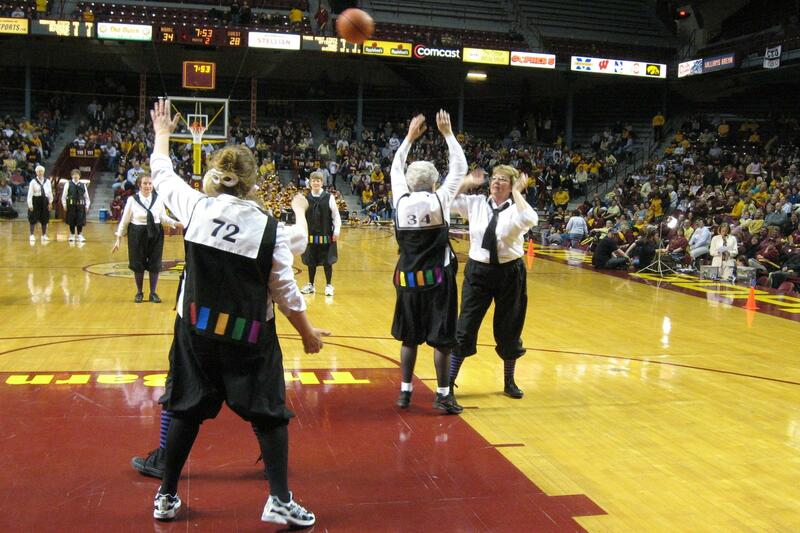 A successful "granny shot" is worth 3 points from anywhere on the court. The original goal of the league was to raise money to preserve a historic building in Lansing, Iowa. The league has maintained those charitable roots. The 200 teams have raised over $200,000 for a wide range of charities. Trammell, who founded the league, says the game’s style goes back to her father, who coached girl’s basketball in the 1940s and 50s. He described the three-court-game to her when she was a girl. Ryan Hennessy is an intern for KCUR's Up To Date. Flipping through the channels this time of year, you might catch one of the 27 rounds of the NBA playoffs. But around here, basketball season pretty much ends with March Madness. This weekend, this city of the Royals and Chiefs, and once Monarchs and Kings, welcomes some new sports nobility to town: The Kansas City Majestics are the first professional women’s basketball team in 20 years to call KCMO home. The University of Missouri women’s basketball team believes it has found the right mix to increase attendance — homegrown talent, and of course, winning. With a record of 21-6, the Missouri Tigers are in the running for their first bid to the NCAA tournament since 2006. 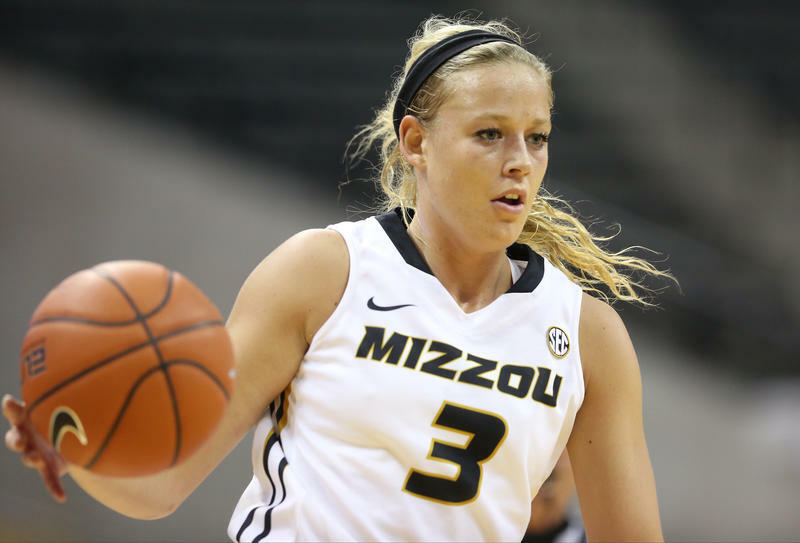 As far as local talent, Sophie Cunningham is the jolt the women’s program at Mizzou needed. She’s the first McDonald’s High School All-American to play for the Tigers, and she’s from Columbia. In her fourth game on the college level against Wake Forest, Cunningham scored 42 points.